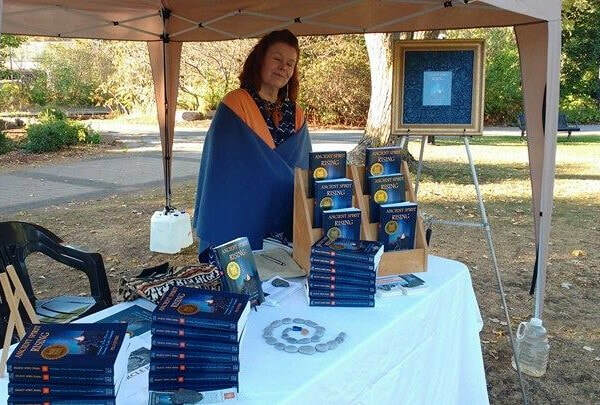 Author Pegi Eyers and "Ancient Spirit Rising" exhibiting at Nogojiwanong Day 2017. Focusing on traditional Anishnaabe place names, indigenous knowledge of the Kawarthas, bioregionalism, cultural diversity, and coming together for common causes. Meet Pegi Eyers, a leader in the Ancestral Arts movement at Chapters Kingston September 23, 2017. 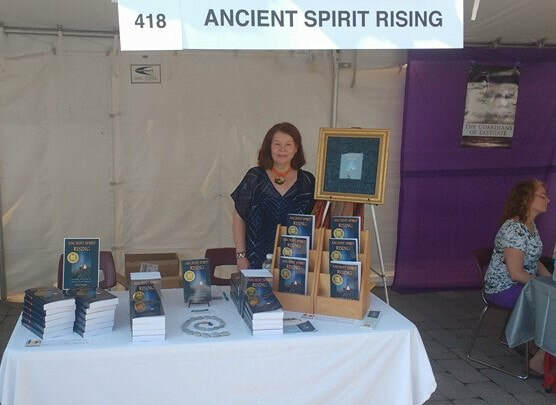 Ancient Spirit Rising delves into the fascinating new movement to find ancestral connections that define our self-identity, and the recovery of a specific ethnoculture. In fact, what better place to find the tools and worldviews we need moving forward, than from our own heritage? And for those who hear the “call of the wild” or are yearning for a more intimate relationship with nature, today’s exciting movements in animism, rewilding, voluntary simplicity, eco-living and sustainable community are all outlined in Ancient Spirit Rising. The wisdom of our communal past holds the seeds for the future! for recovering the Old Ways, Ancient Spirit Rising is a compendium for change! 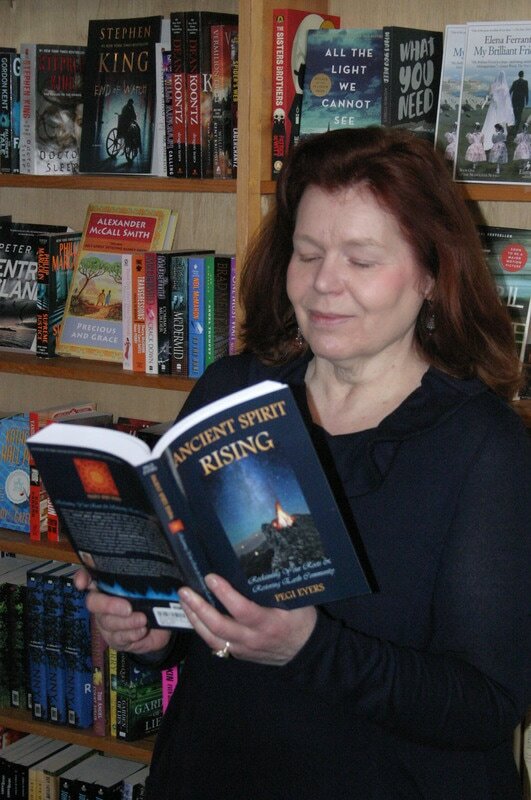 Join Pegi Eyers and “Ancient Spirit Rising” at Kent Bookstore in Lindsay, Ontario for Authors for Indies on April 29! In our era of corporatocracy and mega-business, independent bookstores are becoming more and more valuable to our cultural landscape, and authors all across Canada are coming together to support our indies. Independent bookstores give our minds the space and ideas to expand, and make sure our voices as Canadians are heard. On April 29, independent bookstores across the country along with the authors they love, will celebrate Canadian Authors for Indies Day. 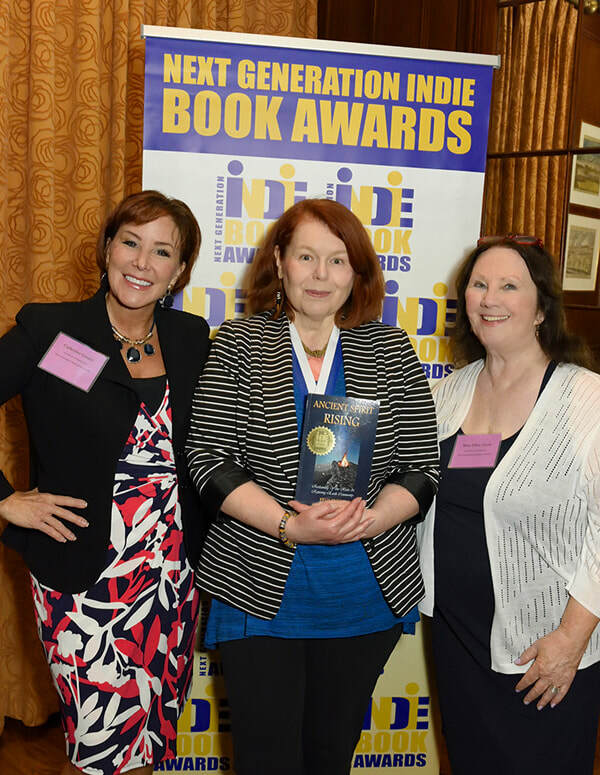 Join Pegi Eyers at Kent Bookstore from 2:30 – 4:30, or visit the independent bookstore in your own community to meet authors and enjoy special events such as contests, music, art tables, and yes (!) even cake! 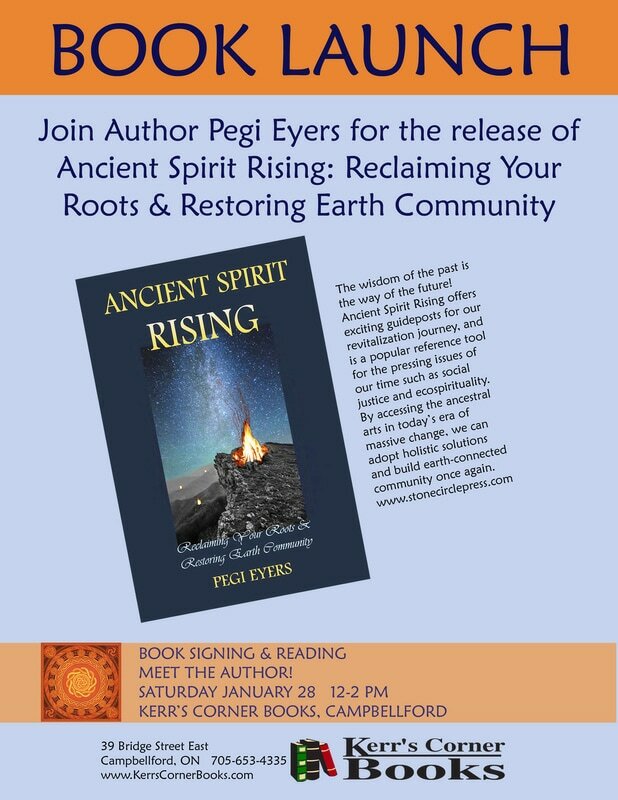 "Ancient Spirit Rising" Book Launch & Signing! Pegi Eyers reading from Ancient Spirit Rising at her book launch, Kerr's Corner Books January 28, 2017. Thank you to all who came out on a cold and snowy Canadian winter day! “Learning from First Nations in Canada brings great responsibility,” says local author Pegi Eyers. 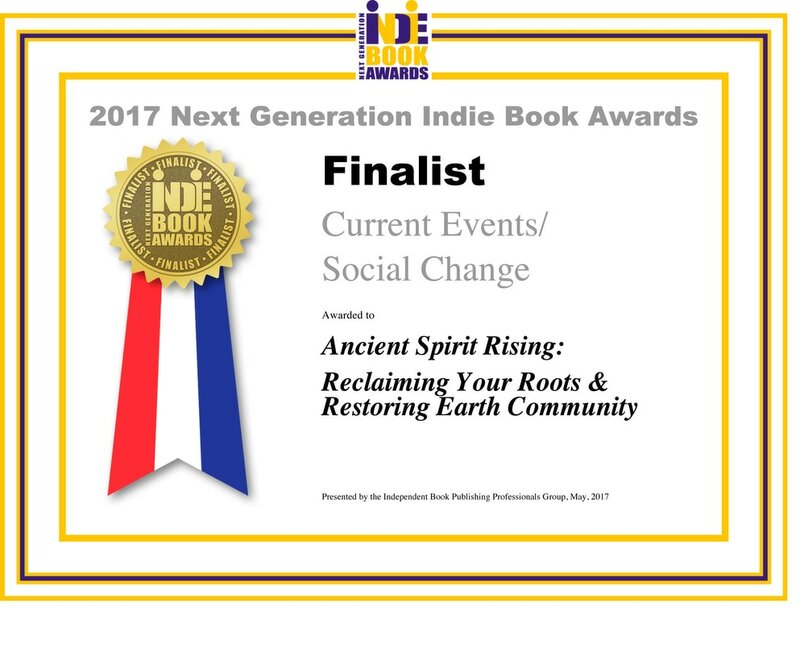 With her new book Ancient Spirit Rising: Reclaiming Your Roots & Restoring Earth Community she delves into developing good intercultural competency skills, charting the route to reconciliation, and the many pathways to earth spirituality for all people. From three years of research Ancient Spirit Rising digs deep, and provides clear and concise guidelines to important questions. What can we do to right the wrongs of history? What is our responsibility in the nation-to-nation relationship that built this country? What can we do to effectively make change? Meet author Pegi Eyers, a leader in the Ancestral Arts movement at a book signing at Chapters Peterborough this Saturday, November 19 from 1 – 4 pm. On her quest to discover the truth about the Settler/First Nations divide, Pegi’s strong bonds to the Kawartha landscape provided the anchor for her thinking and writing process. She sees herself as part of a new generation of Canadians who are “awake and aware,” yet are frustrated or confused by taking on the activist role. Since ﻿Idle No More﻿ her own work in social justice has steadily increased, and one of her many projects maintaining the Allies in Solidarity with First Nations (Canada) group on Facebook has been very rewarding. 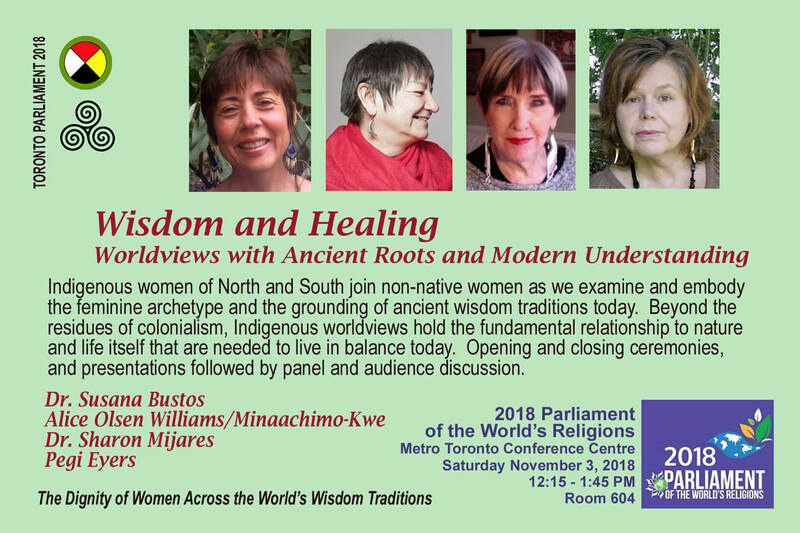 In response to the recent directive from First Nations Elders “to return to our own Indigenous Knowledge,” Pegi points out that our own ethnocultural recovery and spiritual practice should go hand-in-hand with social justice work and earth remediation. And for those who hear the “call of the wild” or are yearning for a more intimate relationship with nature, today’s exciting movements in animism, rewilding, voluntary simplicity, slow food, eco-living and sustainable community are all outlined in Ancient Spirit Rising. An all-inclusive blend of cultural studies, social commentary, ecospirituality and practices for recovering the Old Ways, Ancient Spirit Rising is a compendium for change! 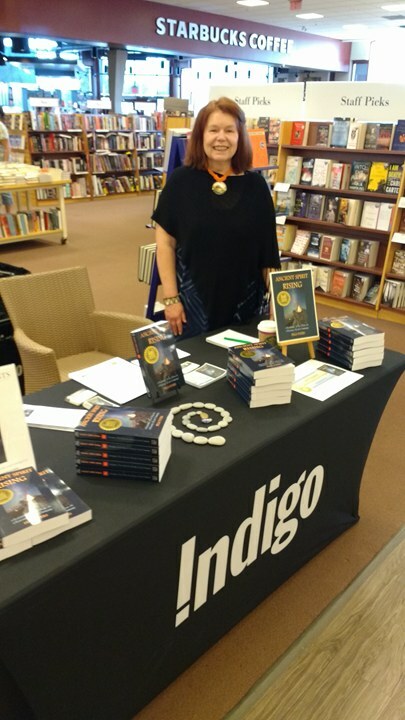 Join the author Pegi Eyers for this exciting book launch and signing at Chapters Peterborough this Saturday from 1 – 4.